People come together for support and a sense of community when faced with serious illnesses or events. No one wants to be a victim. There is a need to spread awareness and understanding about important issues to encourage others to show their support and make change. Awareness education has become a way of life in America. 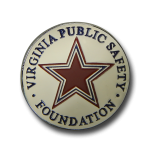 The symbols of these cause become very recognizable and play a big part in keeping important causes in the public eye. Group members enjoy being able to show support for the issues that concern them most. They want other people to care as deeply as they do. 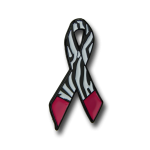 If you have been on a race for the cure walk or attended a fundraiser, you have surely seen someone wearing a ribbon pin, rubber bracelet, or some other item. 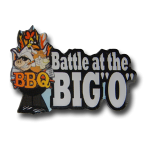 This is very important in bringing continued attention and awareness to a cause or event. 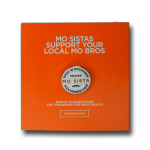 Custom lapel pins are a very personal way to get your message out in the community. They are walking advertisements and are subtle reminders of who is affected. 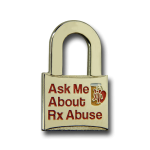 Ready to get your Awareness pins started? 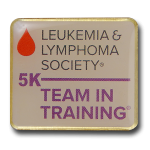 Our trained specialists are happy to help you create custom lapel pins and other promotional products. 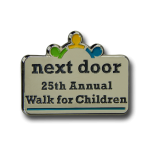 We want to help you make a statement at your next charity event. We excel in providing you with the tools you need to get the support to be able educate, uplift and inspire in the name of a loved one and the cause closest to your heart. 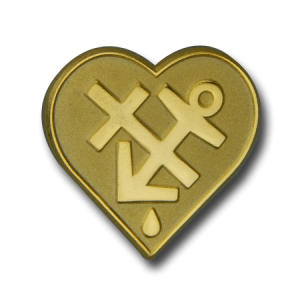 We do this because we are more than just pin makers: we are husbands, wives, mothers, fathers, sisters, brothers, sons, daughters who have all been affected by illnesses in our own families. Some of the causes that have affected our lives include, prostate cancer, heart disease, diabetes, depression and many more. 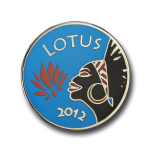 This is an elegant and durable pin type, often referred to as Imitation Cloisonné. 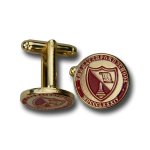 We always recommend our Century Hard Enamel® process to clients that want the best lapel pin. 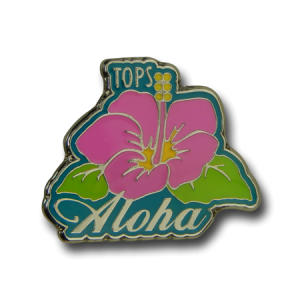 For re-creating the look of a true hard enamel “Cloisonné” lapel pin, imitation hard enamel (as it is more commonly known), is the perfect alternative. It has the same highly polished and level surface, is very elegant, durable and unlike Cloisonné, it is available in the whole range of Pantone colors. As in all stamped pins, the metal plating must separate different colors (so they don’t run together when applied) and those colors are always solid, never shaded. No epoxy is ever used on either product. 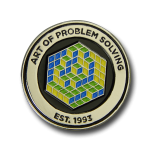 It is considered a better lapel pin process. It is also known to have a more formal and classic look. 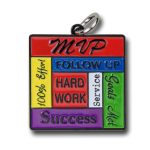 The versatile Stamped Soft Enamel process is the most popular, offering brilliant colors with fine metal detailing and high quality finishing that brings out the shape and boldness of your design. 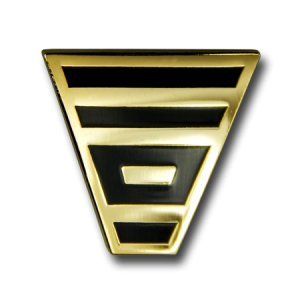 With a stamped soft enamel pin, there are raised and recessed areas. The raised areas are plated and the recessed areas are partially filled with the soft enamel colors. No epoxy is used as a fill in. 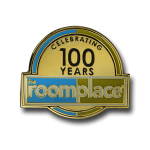 The result is a pin with a 3D look – it has depth and dimension. Like any stamped pin, the plating separates the colors so they don’t “run” together when fired. The enamel colors are solid and can be matched to any Pantone color number. 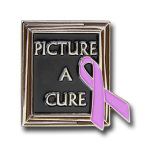 The classic design and understated elegance of the Die Struck lapel pin makes it a favorite of corporations and non-profit organizations. A die struck pin starts out being made the same way that any stamped pin does: your design is stamped directly into metal plating (gold, silver, black nickel, nickel or brass), creating raised and recessed areas. 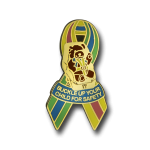 Unlike other stamped pins, with a die struck pin, no enamel colors are added. Instead, the raised areas are polished. The end result is an all metal plated pin with raised and recessed areas and no colors. 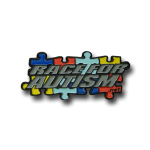 Stunning incredibly detailed custom 3-D lapel pins available in any shape you want! 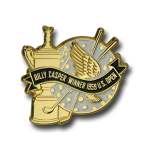 A die cast pin is generally made using only metal plating (gold, silver or nickel). 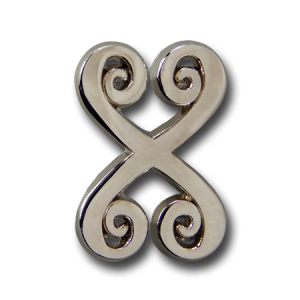 Because it is made using a spin casting machine, we are able to offer pins that have real 3D dimensions. 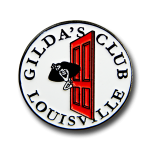 The pins are flat on the back, but the depth and the content of the front and sides allow us to make very different looking pins. Sometimes a design is set up in such a way as to have spots where soft enamel colors could be added although most of the time, no color is added. 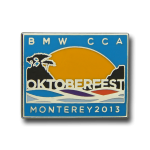 Printed Pins are the perfect process for complex designs with multiple colors, color blends, and photo reproductions. 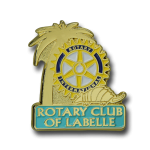 With a printed pin, the image is printed directly onto a metal base, usually stainless steel (silver color) or Brass (gold color). The design is kept exactly the same and there can be unlimited colors. There is no need to modify anything. 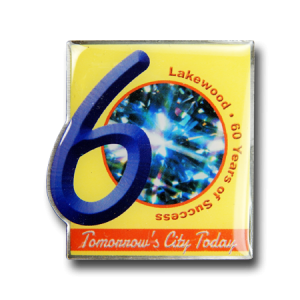 Printed pins allow more details to show than in stamped pins, so pin sizes can be smaller. 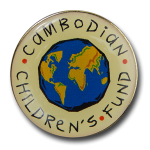 Printed pins have a clear, shiny coat of epoxy making the pin face smooth. The design can be made so the base metal shows through in appropriate places. 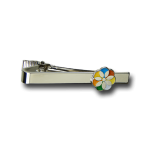 Cloisonne lapel pins offer the appearance of fine jewelry, with a high perceived value. 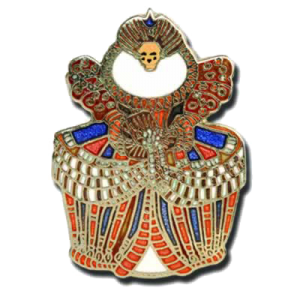 Cloisonne is the oldest enamel process and the colors are basically the same as stained glass. Developed over 6,000 years ago in China. Cloisonné is true hard enamel. 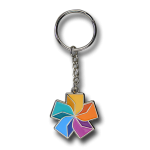 The colors are deeper, richer and have translucence that no other pin processes offer. 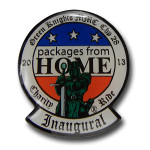 They are made from actual crushed colored glass, used as a paste and applied to the recessed areas of the stamped design. Real, true cloisonné is an almost lost art form and therefore costs upwards of 75% more, has limited colors available (about 72), and is notable by its irregular finish and translucent colors. 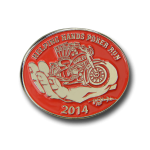 It is really only for those who want to make a collector’s pin. The defects (some cracks, irregular enamel fills and some small bubbles) are what make each cloisonné lapel pin unique. 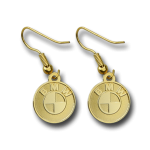 Although they are difficult to make, we have the expertise to produce them. They are rare, but very special. 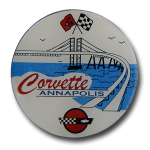 If you are interested in a great looking stamped pin as a less expensive alternative to Century Hard Enamel®, we recommend considering Century Soft Enamel®. The only difference between the two is that the enamel colors are recessed a bit. In other words, they don’t fill the recessed areas caused by stamping the design into metal. The raised areas are plated and polished. 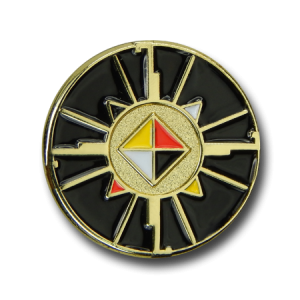 Then the recessed colors are coated with a thin layer of epoxy, simulating the smooth finish of a Century Hard Enamel® pin. 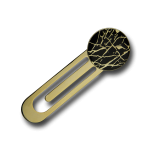 The result is a pin that looks very close, but with a shiny face. 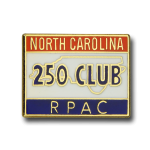 Like any stamped pin, the plating separates the colors, they are solid and can be matched to any Pantone color number.